Barn Finds – 56 Classic Mustangs Discovered in Woods in Louisiana!! Wow, take a look at this, Barn Finds – 56 Classic Mustangs Discovered in Woods in Louisiana!! Louisiana is where we are headed today in order to show you something truly incredible, and no, this time it is nor a bar find per se, instead we go to a location where an auto salvage yard used to be, about 25 years ago and upon closing nobody bothered to see what it is leaving behind. But now a guy named Thad Landaiche has called the YouTuber Jerry Heasley and told him about this incredible collection of Mustangs that he has stumbled upon in this forest. After they got a Tele handler machine to get them all out, the number of cars tallied to an incredible 56 classic cars and most of them were Mustangs, not something you see every day right. The last time these cars had seen action was back in 1978 or 79 according to the insurance documents before they were parked for what they thought the last time, but now they all go taken out of the woods, check it out. 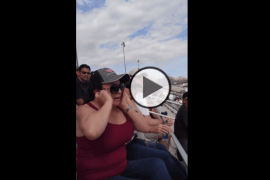 First Time Seeing Top Fuel Dragsters Reaction of this Lady is Priceless! 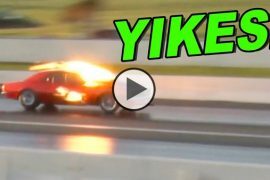 Death Trap Chuck vs Fireball Camaro Almost Ends Bad … Insane Power! 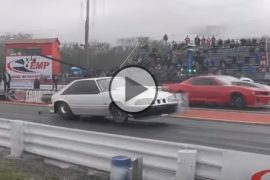 Big Chief vs Gaston’s Nitrous Pick Up at the Memphis Street Outlaws No Prep! Previous articleKentucky Woman Pulls a Gun When Patrick Asked About Her 1970 SS454 LS6 Chevelle!!! Next articleStreet Outlaws Battle, Doc vs. Daddy Dave for the #2 Spot!! Beautiful Pro Street Chevelle Stuffed the Wall at OSCR 5! !